Have you been looking to know more about open face chinese poker, now available in most online poker casinos? This game is getting really popular lately in the online poker uk casino scene, and many people are wondering how to play open face chinese poker. Those are all the good reasons why we decided to create this article explaining the basics of this fun poker game and letting you know about some essential open face chinese poker strategy. Read through the following sections and in a matter of minutes you’ll be ready to start playing! Even though its name suggests open face chinese poker (OFCP) might be an asiatic game, it actually originated in Finland around the year 2,000 and vigorously spread through Russia as a modern day variant of chinese poker. Open face chinese poker is a great poker game for beginners, since luck is more emphasized than skill, and also because playing this game will help you become more fluid in reading poker hands at a glance. That will be an invaluable skill to you in other poker games like Texas Holdem or Omaha. Open face chinese poker can be enjoyed by between two to four players at a time. Much like in chinese poker, the goal in open face chinese poker is to put together three poker hands: a single three-card hand (placed at the front row) and two five card hands (placed in the middle and back rows). Unlike in the traditional version where each player gets 13 cards initially and they just have to find the best hand combinations available at once, players in open face chinese poker only get 5 cards to begin with which they have to keep exposed on the table – thus the “open face” part. From there, each player is dealt one additional (face down) card at a time, which he must immediately set in one of the three rows. This keeps going around until all players have 13 cards at their disposal arranged in a back, middle and front row. At this point, comparisons are made (going clockwise from the player to the left of the dealer) to determine which player holds the winning hands. To determine how the pot is split among the players a series of calculations must then be made. Payments in a game of open face chinese poker are determined through a scoring system. At the end of a game, each player gets one point for each of his winning hands, as well as additional points for holding specific combinations. There are some heavy penalties you should really try to avoid, though: you have to pay two points to each one of the other players in case you surrender a hand, and any player who makes a foul will be required to pay six points to all other players in the game. A foul is essentially an incorrect setting of the hands. Always make sure to set your hands like this: the back hand must always be the strongest of all three hands, equalled or followed by the middle hand and the front hand (which must be the weakest). Failing to organize your hands in this order will make you face severe punishment, so you have to be really attentive to not to foul. If you want to win at this game, here’s the essential open face chinese poker strategy that you have to keep in mind: the single most important moment in the game is when you lay down your five initial cards. 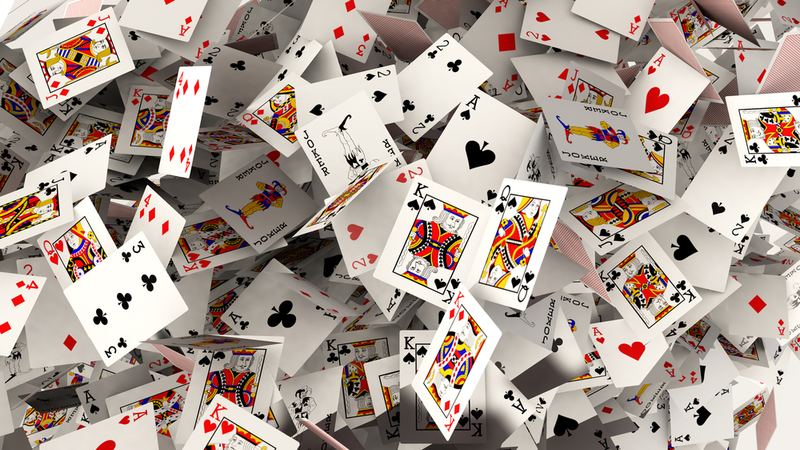 You should aim to set those cards in a way that opens up possibilities for the hands you can get as the remaining cards are dealt to you. This may sometimes involve letting go of illusions for an favorable hand that may arise and stick with humbler possibilities that despite being weaker, could be easier to obtain. Keep in mind that you can set your initial five cards in one, two or three rows – and you have to learn how to use this placement strategically to your advantage. Another important thing that you have to do is to be very careful never to foul, as this would invariably translate to huge spendings that easily turn the winning tide against you. If you want to take a conservative attitude while you’re learning this game, then you have to focus on your efforts in setting your hands correctly as to avoid fouling.